A statement by Russian president Vladimir Putin, at a meeting with his counterpart from Skopje, that Slavonic script “came from Macedonian lands” has caused sharply raised eyebrows in Bulgaria and several reactions from the country’s politicians and diplomats. 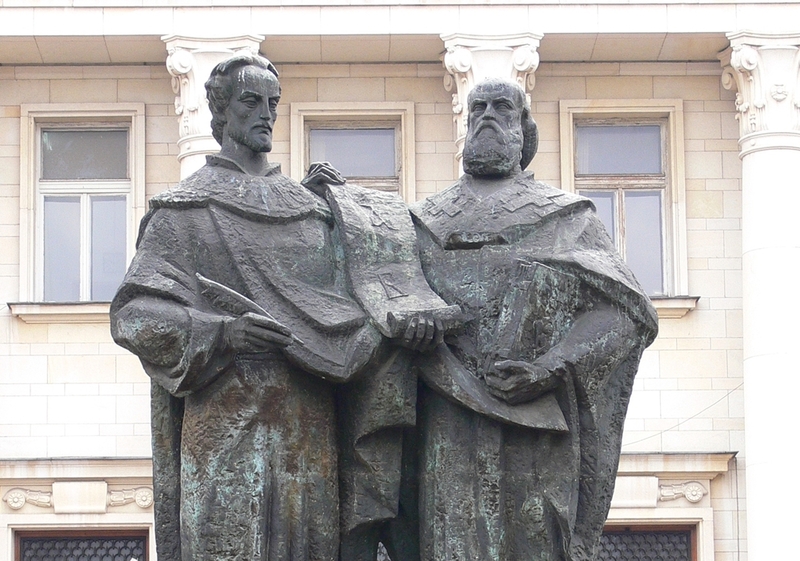 Putin’s statement, recorded on the Kremlin website, came on May 24 as Bulgaria held its traditional annual public holiday to celebrate Saints Cyril and Methodius, authors of the script that became Slavonic script, and Bulgarian literature and learning. The Putin statement was due to be discussed on May 25 at a previously-scheduled meeting between Bulgarian Prime Minister Boiko Borissov and Russian ambassador Anatoly Markov, which otherwise had been expected to focus mainly on energy issues and key topics in bilateral relations. On Wednesday, the first Bulgarian official to react publicly was Foreign Minister and Deputy Prime Minister Ekaterina Zaharieva, who posted on Facebook that the script was created at the will and with the participation of the Bulgarian state. She noted that five years ago, the Patriarch of the Russian Orthodox Church, Kirill, had said that literature had come to Russia from Bulgaria. Borissov, speaking before his talks with the Russian envoy in Sofia, said that it was not important who had passed through where. “What is important is that close to 300 million people read and write in Cyrillic and in the end it enriches European culture”. Speaking during a visit to Rome – a traditional destination for Bulgarian leaders to revere the relics linked to the holiday – Bulgarian Culture Minister Boil Banov said that it was important that the statesmen of the world have more respect for history. Bulgaria’s ambassador in Rome, Marin Raykov emphasised that the work of Cyril and Methodius would not have been possible without the Bulgarian state. And behind this fact were a number of documents that are irrefutable, he said. Professor Kiril Topalov, Bulgaria’s ambassador to the Vatican, said that the work of Cyril and Methodius is Bulgarian in its creation and Slavonic in its realization.